Quarterback Jeff Garcia has seen the Chicago Bears and Minnesota Vikings remove themselves from the list of potential suitors in the last two days. Moreover, the Eagles are dealing from strength. 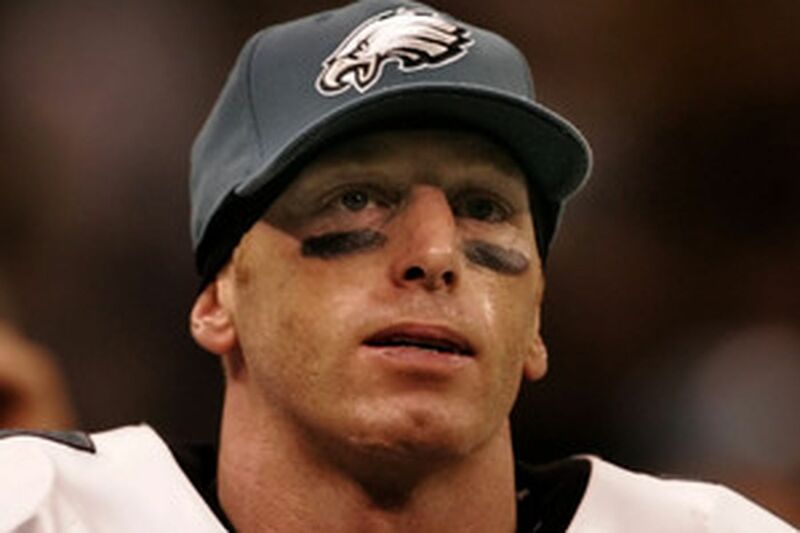 INDIANAPOLIS - Jeff Garcia's free-agent options are dwindling, but that doesn't mean the quarterback will be back in Philadelphia next season. In the last two days, the Chicago Bears and Minnesota Vikings have removed themselves from the list of potential suitors for the quarterback who helped rescue the Eagles' 2006 season after starter Donovan McNabb was lost to injury for the second consecutive year. "I believe there are going to be some excellent starting situations elsewhere and some excellent backup situations elsewhere," said Steve Baker, Garcia's agent. "At this point in his career, Jeff is very open to the idea of playing the rest of his career in Philadelphia. He thinks that would be a very positive way to end his career. If they want to get a deal done before free agency, I'd be happy to listen." Baker said that the Eagles have told him they want to negotiate a deal before the start of free agency, which begins Friday, or a deal will not get done. The Eagles' policy is not to comment on pending free agents, but the team is dealing from a position of strength at quarterback, thanks to the presence of veteran A.J. Feeley, who signed a two-year deal after being released by the San Diego Chargers just before the start of the 2006 season. Feeley, 29, rejoined the Eagles as the No. 3 quarterback behind McNabb and Garcia, but it's no secret that the team would be more than comfortable with him as the backup. Feeley did nothing to discourage that opinion when he got his only chance at extended playing time in the Eagles' season finale against Atlanta. Although the game lost all meaning for the Eagles when a Dallas loss gave Philadelphia the NFC East title early in the first quarter, the Falcons had their starting defense on the field. Playing almost entirely with reserve offensive players, Feeley completed 22 of 33 passes for 321 yards and three touchdowns. Feeley, of course, was the people's original choice to replace McNabb after the starting quarterback suffered a season-ending knee injury in a Nov. 19 game against the Tennessee Titans. That opinion was based on what Feeley did during his first stint with the Eagles, having led the team to a 4-1 record after injuries to McNabb and then backup Koy Detmer. Garcia won the approval of the Eagles' fan base this season by leading the team to a 5-2 record, including playoff games against the New York Giants and New Orleans Saints. By the time the Eagles' season ended with a loss to the Saints, Garcia's approval rating among Philadelphia fans had soared to extraordinary heights. That didn't change the fact that McNabb would be the Eagles' starter as long as he was healthy at the beginning of the 2007 season, leaving Garcia to decide between pursuing a starting job elsewhere or remaining in Philadelphia as a backup. During an appearance on the Tonight show last month, Garcia said he wanted to test the free-agent market, which opens Friday. He maintained that he wanted to play for a team with a chance to win, because he had sour experiences with the Cleveland Browns and Detroit Lions before signing with the Eagles last season. It was thought that perhaps the NFC champion Bears might be interested in replacing Rex Grossman with a veteran, but that's not the case. And former Eagles assistant coach Brad Childress, now the head coach in Minnesota, isn't interested, either. That leaves the Tampa Bay Buccaneers and Oakland Raiders as potential suitors outside of Philadelphia, and those teams won a combined six games last season. The Bucs are only a year removed from the playoffs, however, and the Raiders are in the Bay Area, which is where Garcia is from. It's possible, however, that pursuing free agency may not seem as attractive now to Baker and Garcia, given that the Bears and Vikings aren't interested. "Jeff in the past has indicated that he'll probably pursue free agency, but that's in part because he hasn't received an offer from Philadelphia yet," Baker said. "Jeff has always claimed that Philadelphia was an amazing experience. The two most exciting parts of his career were probably the playoff game he won in San Francisco and the last two months he spent in Philadelphia. "Lots of different factors are going to come into play. Is he being treated fairly in his contract? Jeff understands that his contract in Philadelphia is going to be different than it is elsewhere. He recognizes that he's going to be coming in there as a backup. He knows he could only absolutely know his market value elsewhere if he becomes a free agent, but Philadelphia has kind of made it clear that's not an option." Juqua returning. There are strong indications that the team will re-sign defensive end Juqua Thomas, who had six sacks and became an integral part of the defensive line last season. "I believe they're going to get the first opportunity to bring him back," said Kennard McGuire, the agent who represents Thomas. "He obviously enjoys being in Philadelphia, and I believe it's a mutual feeling." Thomas, who had only five career sacks before last season, cannot sign with the Eagles until the free-agent market opens because he played last season under one of the league's minimum salary benefit deals. That means the hit on the team's salary cap was less than his actual salary. Extra points. Brad Childress, the former Eagles assistant coach, admitted that his first season as the head coach of the Vikings was no picnic. "There's no manual for it," he said. "There's quite a bit of multitasking. You end up being a continuous problem solver, whether it's small problems or big problems. It's part of the deal." . . . Bears coach Lovie Smith was terse when asked about former defensive coordinator Ron Rivera, who went from a head coaching candidate to the San Diego Chargers' linebackers coach in the span of a week. "Our staff right now is in place," Smith said. "Ron is an employee of someone else right now. I'll talk as much as you like about our current staff right now. I appreciate what Ron did for us last year, but he's with the San Diego Chargers now."